يقع Scenic Hotel Bay of Islands في Paihia, Bay of Islands, هو خيار شائع بين المسافرين. يسهل الوصول إلى هذا الفندق ذو 4 نجوم من المطار، فهو يبعد عنه مسافة 25 km فقط. يوفر الفندق بفضل موقعة الجيد وصولاً سهلاً إلى أهم معالم المدينة.
. إن Scenic Hotel Bay of Islands حريص على توفير الراحة للنزلاء، فلا يوفر الموظفون جهداً في تقديم أفضل الخدمات وضمان حسن الاستقبال. يقدم الفندق واي فاي مجاني في جميع الغرف, مكتب الاستقبال على مدار الساعة, مرافق مخصصة لذوي الاحتياجات الخاصة, واي فاي في المناطق العامة, صف السيارات لضمان الراحة القصوى لضيوفه. في Scenic Hotel Bay of Islands غرف نوم يزيد عددها عن 114 صممت بذوق وعناية لتوفر لك كل وسائل الراحة . بعضها يحتوي أضاً على تلفزيون بشاشة مسطحة, سجاد, بياضات, مرآة, مناشف. إن حمام سباحة خارجي, حديقة هو المكان الأمثل في الفندق للاسترخاء وتفريغ طاقتك بعد نهار طويل. مهما كانت دواعي سفرك فإن Scenic Hotel Bay of Islands هو خيار ممتاز لإقامتك في Bay of Islands. NOT RECOMMENDED! The amount I was charged was higher than I order. They never mentioned additional fees. The room was full of ants, although they did display a note in the room that they are aware of the problem. the location is about 209 minutes away from the centre. big room but very uncomfortable bed. altogether, it only looks good, but then you find out all the hidden stuff. Very comfortable bed, with a great pillow menu. Makes for a great nights sleep! This was the second time we have stayed here. This time we upgraded to one of the new King Size Deluxe rooms and we were both impressed by the improvement over the standard room. Very well equipped modern room, great KS bed and a quiet location. 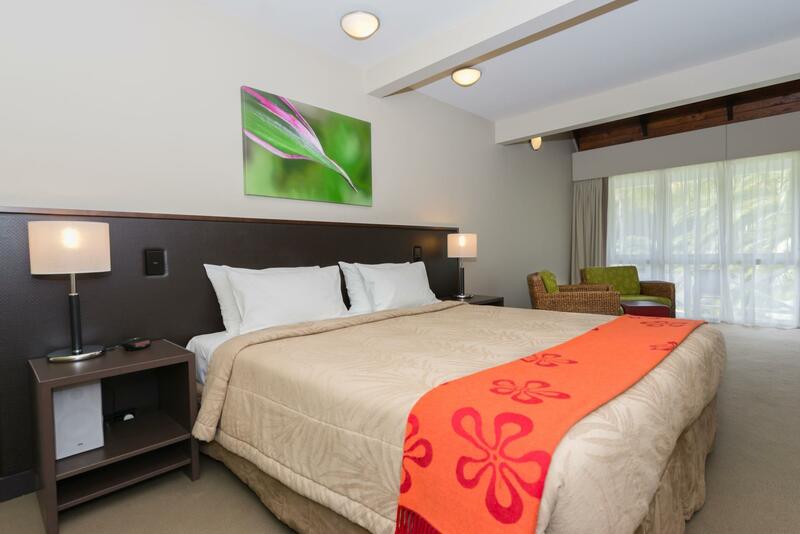 The Scenic Hotel is the perfect place to stay when exploring the Bay of Islands. Never having been in these parts we booked here. Great staff. Nice People. grounds are interesting. Our room was quite nice. Good location to explore but understand that this is a 12 minute walk from the Russell Ferry an a whole llt longer to Wqitangi. Just a bit of condensation on the windows in the morning and spider webs across the inside of the windows. Other than that it was a very clean room. I had a great experience. The staff in particular were very friendly and helpful. Very friendly helpful staff, very comfortable bed also, we slept so well we were almost late to check out. Friendly staff. Lovely gardens around hotel. Our stay was very enjoyable. Would recommend this hotel. The room was clean, comfortable and well appointed. The gardens and surrounds were pretty. Good value for money. I feel I was misled by the hotel name and blurb on the website. i thought i had a 4 star hotel with a view of the bay, instead I ended up looking at trees 5 metres from my room door.it was a hike with bags to even get to the room ( # 802) I wouldn't really want to stay there again . teh fridge didn't even work well, dripped water and the fridge area was overun by ants. Price I didn't care about , just something with a bit of luxury and a view. this hotel met neither,sorry. IT is a good hotel, except for the fact that we were told we'd get AC (which we didn't), and then after calling the front desk about it, they never followed up with us as promised. However, the most disappointing aspect of this hotel is the wifi service. It is nearly impossible to send an email with text, let alone try to do any sort of research/surfing. As a traveler, internet service is paramount to the sustainability of a hotel, and this experience was far and away the worst in that category taht I've experienced in a loooong time! Only stayed for one night but would definitly stay there again. It does need a heat pump for summer weather. Loft room was awesome for kids. My 2 kids totally enjoyed their stay in loft room which they have their own room upstair and watch their kids channel and me and my wife have our own space as well. Bathroom is big enough. Cutlery was the thing we were looking for but not supplied. Overall was a great experience and we all enjoyed the stay. Our kids enjoyed the Loft 2 kings bedroom, they had their individual room upstair for themselves. TV channels for kids are great. I was going to order in room dinner but the room didn't have any menu what a pitty. I had to drive out to get takeaway after long day out. But overall the room and service was great. One more thing is, I suggest if room comes with cutlery would be superb. spaceous bedroom. obliging n friendly staff. luxurious setting. very pleasant. the cooking is superb! Enjoyable. Was a one night stopover on a road trip up north. Everything you'd expect from a chain hotel, good service. 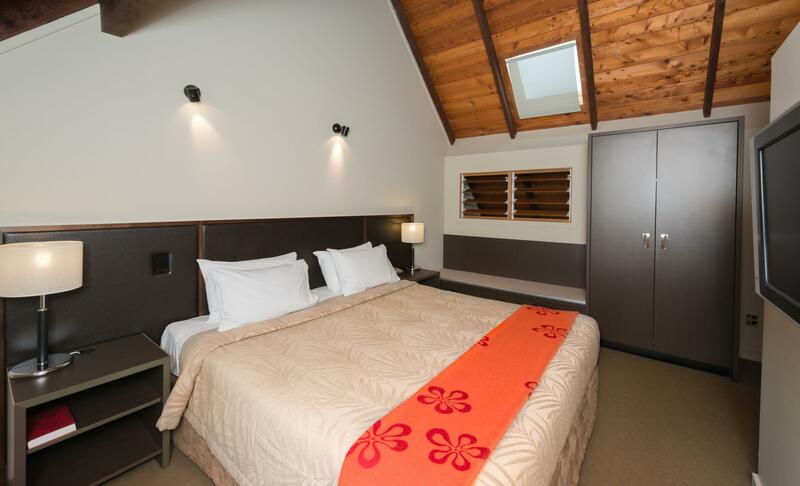 Good spacious room, decent breakfast, small pool, close to what you could do in Paihia. Recommended if your looking for a reasonable priced and comfortable standard hotel. Would stay there again if we went back to Paihia.